The most important role of the media in a democratic set up is to report news, without prejudice and correctly. 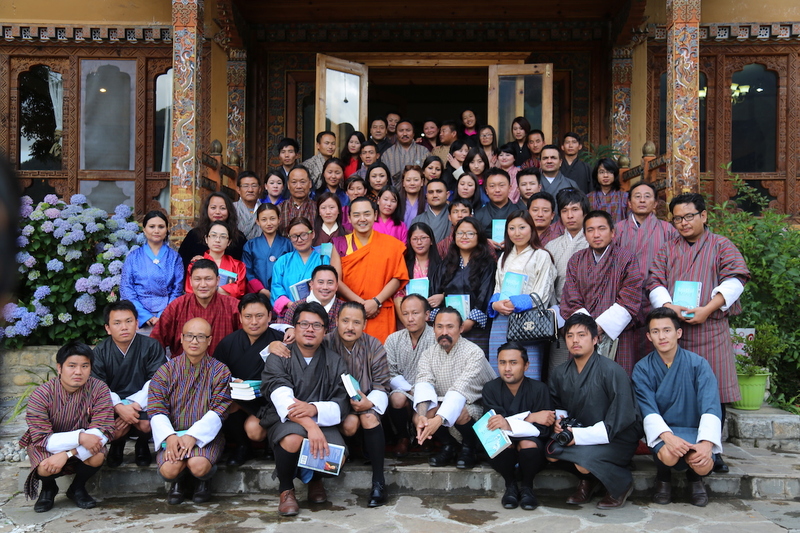 However, journalism today in Bhutan is faced with several issues on what their roles and responsibilities exactly are. Although media roles are not absolute, striving towards finding a balance between extremes of journalism could be a possible way forward for the Bhutanese media. The idea of middle-path journalism in Bhutan was presented during the second journalism conference at Paro on June 27. More than 70 journalists from different media houses gathered during the two-day conference to discuss issues faced by the media organisations in the country. Media consultant and researcher, Dorji Wangchuk presented to the gathering if Bhutan could practice journalism based on the core values of compassion, commitment and containment. Dorji Wangchuk proposed the idea of middle-path journalism, where he said indigenous and local values on which our society is based can be applied in journalism. He said that after the democratic system of governance in 2008, various media houses in the country has been practicing different models and approaches “transplanted” from the western context, which are not “appropriate and adequate” in our setting. Dorji Wangchuk said that the role of media is shaped by the history, philosophy and socio-cultural values of the country where it is practiced. He added that balancing the news on conflicts and controversies and shifting the focus towards more solution based stories could help in achieving the middle-path approach to journalism. “In Bhutan where principles of Mahayana Buddhism is practiced, the journalistic approached should also incorporate social and national values which will represent us as a society,” he said. Meanwhile, His Eminence Gyalwa Dokhampa Rinpoche also spoke to the journalists on mindful-journalism and the Bhutanese approach to journalism. Gyalwa Dokhampa Rinpoche said that the role of media is not just about informing and educating people but it is about making sense from all the information that is available. Rinpoche said that media can bring in change to societies and it was therefore essential the changes that journalists try to influence through their stories should not lose that essence of the national philosophy of Gross National Happiness. As a Buddhist, values such as compassion and wisdom should always be kept in mind said Rinpoche. Rinpoche highlighted that communication must happen in a way that does not harm others, but at the same time it remains truthful and beneficial. “Media shapes our perception and ideas. It is a consciousness industry, which not only provides information about the world, but also the way of seeing and understanding the world,” said Rinpoche. While providing the society with information, Rinpoche said that journalists should be mindful whether they are providing information the people need or the information people want. Understanding this and accordingly following the choice, decides the identity of media.